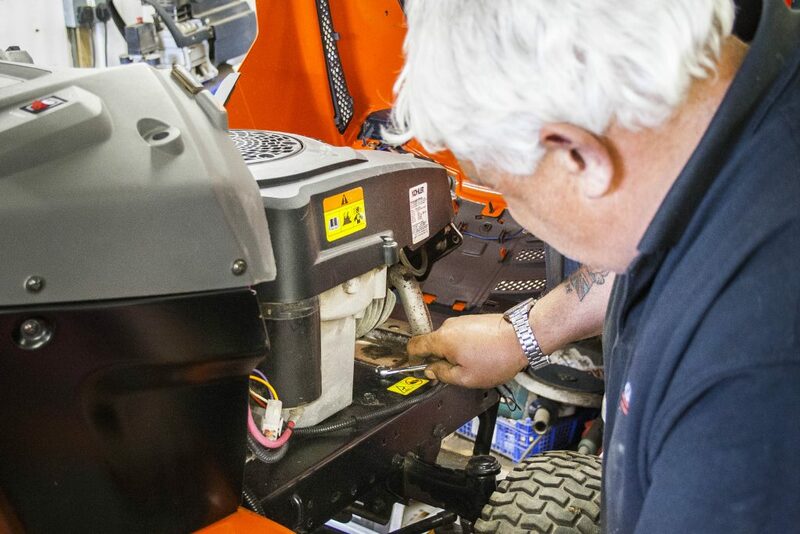 Our fully equipped service department with time served engineers is more than capable in making sure that your mowers and equipment are fully serviced and repaired to run at their peak performance. With a fixed price service menu to cover all makes and models of machinery and with a free delivery and collection service, you will have piece of mind of a good service at a reasonable price. If you require a service please fill out the form below and we will get back to you immediately. Contact us to book in a service!